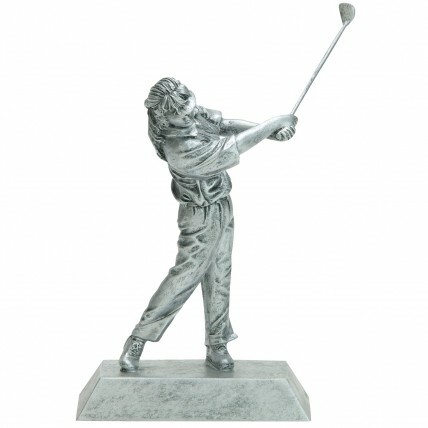 Crafted from solid resin, the Silver Female Golf Resin Trophy is sculpted to resemble cast pewter, and spotlights a female golfer in post-hit swing action a split second after sending the golf ball sky high! Award this trophy to your female golf team and crew today. 7.375 inches tall.